Everyone know what’s coming next when it comes to Android versions. The 11th build of Android i.e., Android 7.0 now has a name and that’s the latest of Android. The Nougat name comes after the search giant took people’s suggestion in order to consider any desert name starting with letter N. People voted most for Nougat and so Android 7.0 was named as Android Nougat. As of now only limited number of smartphones are running Nougat out of box, some have already got this update, which includes Nexus and Android One phones. For some handsets the software update is under testing and it will be out in November. Possibly in December a number of handsets will receive the update. UMI has plans to deliver the Android 7.0 update to UMI Plus, UMI Super and UMI Max. 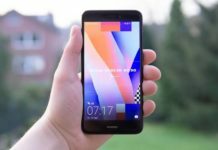 Motorola during their recent launch of Moto G4 Plus smartphone, company confirmed that their device will get not only Android Nougat but also the upcoming Android O update. That might definitely surprise every OEM because they are yet to deliver Nougat update and Motorola promising of Android O update definitely surprises everyone. It didn’t surprise us because as a manufacturer you know your product capabilities and just like Android One, Motorola too are indirectly promising software update support till a minimum of 2 years. Nevertheless, it should be good news for Moto G4 Plus owners. 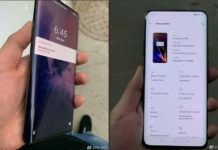 If you haven’t purchased this phone yet, go ahead and possess this smartphone which is just launched. 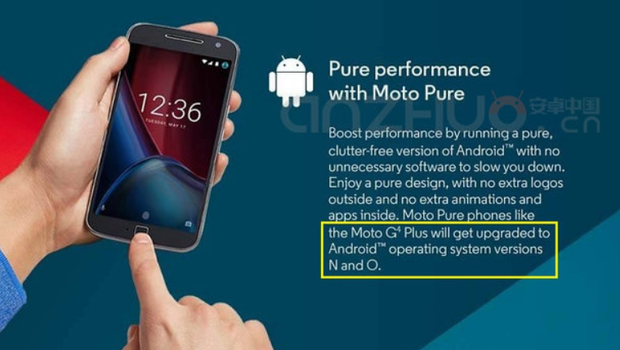 According to our expectations, the Android N update for Moto G4 Plus might arrive in April 2017 while the Android O somewhere in Q1 or Q2 2017.